I look forward to seeing the end result if you do get an Xm, and whoever buys your car will have a great car on their hands. It doesnt have many electrics in it but is apparently tip top condition including strut top mounts being like new....ideal for me to tickle up to showroom condition inside and out. quality.....still hydractive but a heavier chassis making an even better ride than the Xantia....so everyone says. 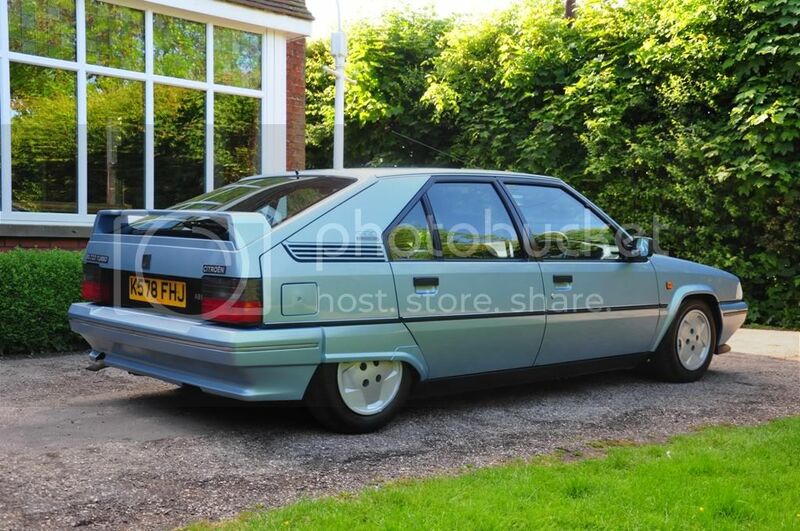 This is what im looking at getting into....obviously not the same car but same colour and trims etc. the only thing that concerns me is hidden rust...but then id happily jump into a GS if i had the money and just deal with it as part of the "always wanted one of those process" so ill just have to deal with it......i do have the advantage of a specialist welder friend through work....ive already spoken to him about getting an XM and the rust traps they have...his reply was "good cars xm's Vince, dont worry about any welding or rust issues, its nothing that cant be sorted"
That Excel came out really well Vince, great job, i can imagine how much work that took!! Dont worry about your xm being base spec, you can always upgrade to the bits you want as you go, obviously stuff like the dot matrix screen and A/C would be a nightmare to fit but leather and leccy arm rest, rear screen, E/windows would be ok to retro fit if you wanted them. I havent thought of how id get over to pick it up yet....i have my brother in law to help me out on that if necessary, if not Paul and i share a common friend in merseyside called Alan, also an XM owner and a common visitor to Paul's place. I could always get in touch with him and catch a train to Liverpool from here and then a ride over with him perhaps? In the first instance i need to cost everything up including private plate retention on the xantia, road tax, insurance etc and then speak to a friend of mine to see if he will lend me some money to make the deal happen. I just dont have hundreds of pounds lying around unspoken for at the moment. The sale of the Xantia and getting some more cars done should easily pay this off and leave some left over for any remedial work that may need doing on the xm. In my experience, the extra equipment on plusher cars doesn't give any trouble. Its usually the basics that all cars share in common that are points of grief. Well good luck with it Vince, money is always the sticking point with our toys, cant imagine you will have any trouble moving on your Xant though, its a very tidy car indeed. I added the rear screen to mine, you have to watch it as you need the rear roof trim panel (in the right colour) with the cutouts in for the screens hinges but its only a clip on thing, electric cubby/armrest (a must have gadget) although they can go for a rather large sum of money if you can find one (i may know where one is though at a sensible price if your interested. Also added a single spoke wheel to mine too. robert_e_smart wrote: In my experience, the extra equipment on plusher cars doesn't give any trouble. Its usually the basics that all cars share in common that are points of grief. Robert, what basics give trouble in your experience over what a hydractive Xantia would throw at you? A mk 1 with hydractive one would be more reliable suspension wise than a xant as hydractive one is a far simpler system without the leaking electrovalves or diode issues, hydraulic pressure on any old cit is a little niggle, sunroofs can be a pain and in the case of the xm should be well lubricated to stop the cables rusting and writing the sunroof off, rust is an issue now for some cars, life dependant, this includes front jacking points rear subframe mounts, front outriggers and bumper mounts, the front of the front subframe can get crusty too, mk2 window cables snap but can be modified to stainless to solve the problem, strut tops while not as rust prone as xant ones do still rust but also the rubber delaminates from the cone and needs to be kept an eye on...........................Robert will know the full list, my man flu is clouding my mind! That pale blue XM in the picture a little way up this thread. What a lovely colour Never seen one in that colour. I'd love that colour on a Xantia too! I agree Jim, Olympic Blue is a fantastic colour be it on BXs or XMs. Hardly ever see them on XMs... I'd love one in that colour. Another nice Blue is Ice Blue - seen on dad's (although not for long...) TZD Turbo - here.